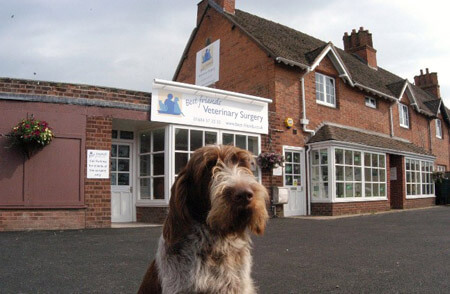 We often get asked as to what happens when a pet is admitted into the clinic for the day for an operation or treatment. 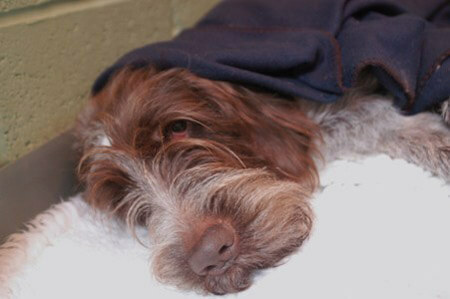 Wilbur, a very handsome Italian Spinone , takes us through his day when he was admitted for a small surgical procedure. 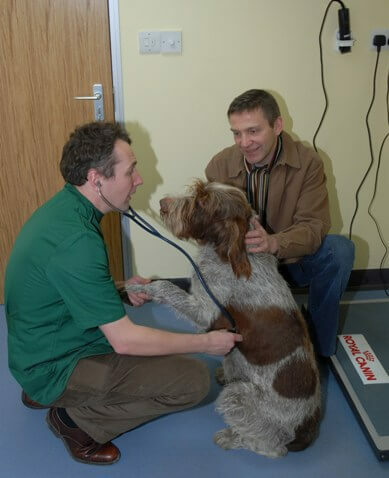 Vet Jon Slattery gives Wilbur a thorough health examination on the morning of his procedure with owner Mr Lowe. Veterinary nurse Kirsty Ryley goes through Wilbur’s consent for surgery form with Mr Lowe before asking him to sign it. 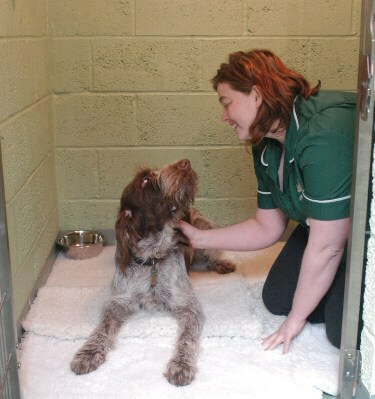 Veterinary Nurse Kirsty Ryley settles Wilbur into a nice big comfy bed to relax prior to his procedure. 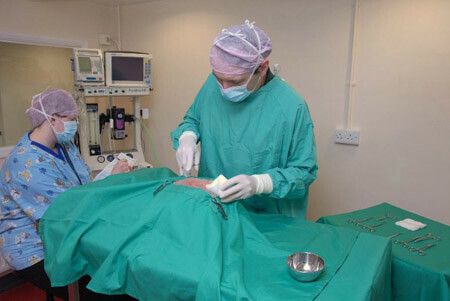 Wilbur has his procedure under general anaesthesia in the sterile operating theatre. Anaethetist Kirsty Ryley is aided by state-of-the-art ICU specification monitoring equipment. 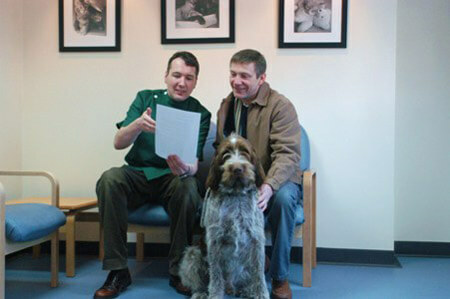 Vet Jon Slattery goes through Wilbur’s discharge instructions with Mr Lowe. Wilbur is happy to go home after his day stay at the surgery.